Advanced Eureka Dentistry - Sonia R. Bautista, D.M.D. The dental practice of Dr. Sonia Bautista, provides complete oral health care, cosmetic dentistry, and comprehensive restorative services. Our team is committed to preserving and enhancing our patients’ smiles with advanced technology and techniques that improve both comfort and results. Our Eureka dentist offers the dental care that our community needs. When you keep regularly scheduled visits and maintain proper home oral hygiene habits, our role is to keep your smile strong, functional and attractive. If you should experience a dental emergency, your recovery becomes our priority. Our amalgam-free practice offers strong, finely detailed crowns and bridges in zirconia, porcelain, and other top materials. Dr. Bautista works only with a top specialty lab to craft your custom restorations. For those who experience dental anxiety, we offer a choice of sedation options. If you are missing several teeth, our dedicated dentist has earned the reputation for producing superior dentures and partials in Eureka. 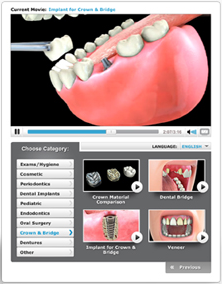 You can count on your replacement teeth to fit, feel, and function better than other dentures. To Learn More, Call Our Gentle Eureka Dentist. Dr. Bautista is proactive when it comes to emerging technology and advanced techniques that she can incorporate into her practice. She is adept at blending art and science to help our patients keep their smiles healthy for a lifetime. Our staff is eager to answer your questions about Dr. Bautista’s practice and treatment options. Please let us know how we can be of service to your smile. Eureka dentist, Dr. Sonia Bautista is a dental professional dedicated to general, family, and cosmetic dentistry with services including dental exams, dental makeovers, teeth whitening, veneers, crowns, x-rays, cleanings, and more. Please call our dentist in Eureka, CA to schedule your next appointment.